One of my favorite things to cook is pasta and over the past few months I have been trying a different brand every week. It is surprising how many different pasta brands there are yet the ingredients are usually very similar. 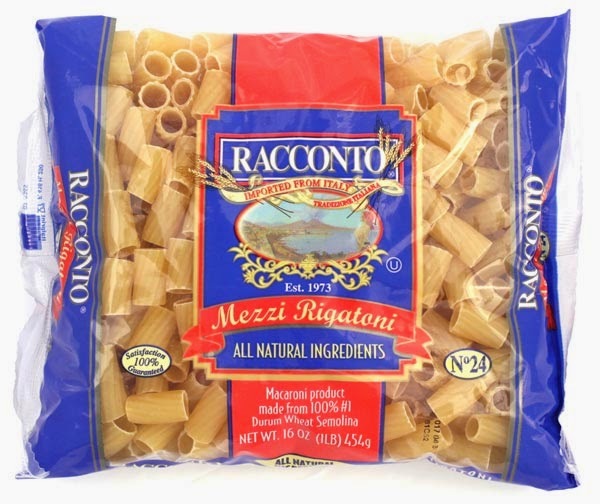 Some pastas were better than others but in the end, my favorite brand was Racconto and favorite pasta shape was the Mezzi Rigatoni. Racconto pasta is about $1-$2 for a pack that makes about 4 servings. The pasta has a great taste with a touch of sweetness to it. The Mezzi Rigatoni is a perfect shape with bite sizes pieces and textured ridges. This brand can be found at several different grocery store chains. Like pasta, I am also really into juices. I have been trying just about every brand of 100% juice out there. 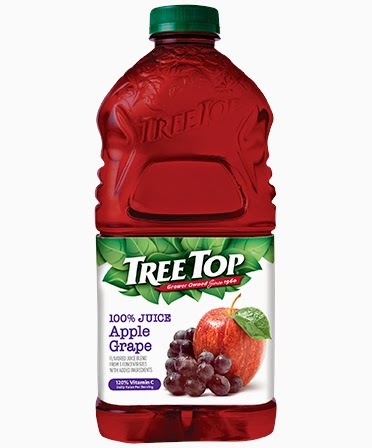 While most are pretty good, I have found the best so far to be the Apple Grape juice from Tree Top. It is very sweet and holds it's flavor well. I find many other juices tend to lose the quality of flavor over time or are watered down. This juice is very good at quenching thirst and goes well with meals. You can find it in stores for about $2-$3 for a large bottle. A few runners up in the 100% juice category include Langers, Ocean Spray, and Motts juice vegetable blend. I have been trying many different frozen pizzas in the $5 range. 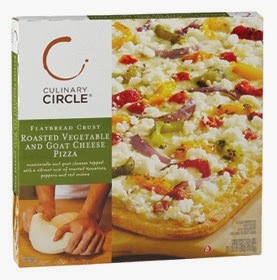 Most of them are just ok. Today I tried the Culinary Circle brand for the first time because it was on sale for $4. They had the vegetable pizza which is the type I like so I decided to give it a whirl. The nutrition looked pretty good compared to most other frozen pizzas especially with the sodium content which was the lowest I have seen in a product like this. Also the quantity of pizza is higher than most of the competitors which is a plus. So how did it taste? Very good! I would have to say this is the best brand I have tried to far and I look forward to trying other varieties of their pizza in the near future. I buy a lot of peanut butter and lately I have been going for the natural kinds and the chunky variety. 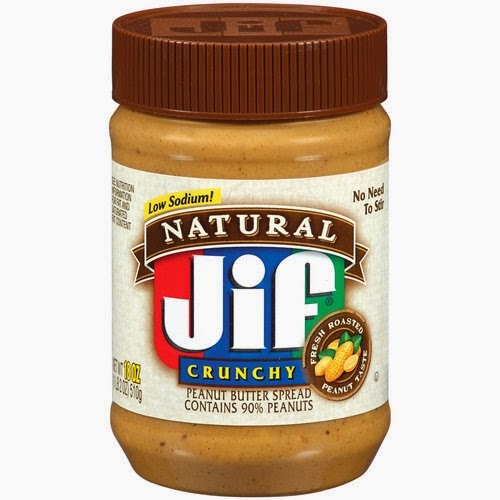 I know that is very subjective, but for brands right now I recommend Jif. I also like Skippy but they have been skimping on the amount of peanut butter per jar in the latest packaging so for the best bang for your buck, Jif is the way to go. The peanut butter tastes good, it is natural, and it does not need to be stirred or refrigerated. I recommend either the crunchy or smooth depending on your preference. It can be found for about $3 per jar at most grocery stores. 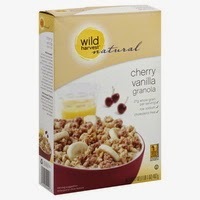 Now there are a lot of different kinds of cereals out there so it is hard to pick a best one, but for flavor and nutrition, I highly recommend the Cherry Vanilla Granola by Wild Harvest. The problem is, it is very hard to find right now and may even be out of production. They currently sell the Vanilla Almond granola, but the cherry has been gone for some time now. It is a shame because it was very good! If you can find it, I recommend picking up a box if you like granola style cereal. If they do not have the Cherry, the Vanilla is a good second choice for about $3. 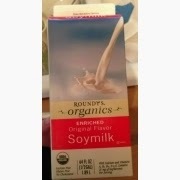 I have tried several varieties of plain soy milk and some are definitely better than others. For the best flavor and value, I recommend the Roundys brand soy milk. It has a great taste, good nutrition, and can be found for about $2.50 for a standard size carton. It also comes in different flavors if you prefer, but I recommend the plain original flavor to go with cereal or to drink on its own. The foods on this list are not low in calories as you may have noticed. These foods are good values for getting a lot of calories for your money while also being healthy. One of my favorite ways to get easy calories, vitamins, and minerals is with nutrition drinks. While the best is Ensure brand, they are very expensive so the best alternative is the Target brand Market Pantry. They have nutrition drinks in regular and plus style which are much more affordable at about $7 for a 6 pack and they also taste pretty good. 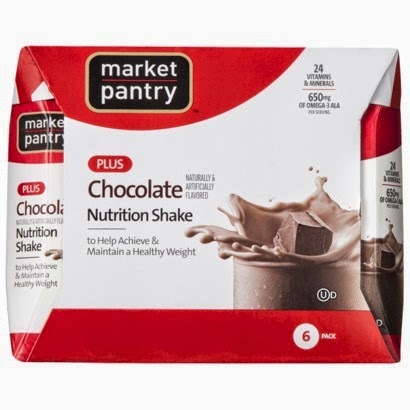 If you are looking for a quick and convenient shake, I highly recommend the chocolate flavor by Market Pantry. If you have any favorite foods you would like to share, feel free to leave them in the comments below! 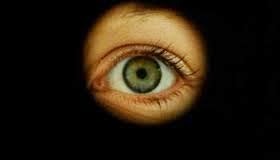 The other day I found a video that claimed you could make your vision clearer without glasses just by looking though a small pin hole. It claimed that if you made a tiny hole using your fingers and look through it, you would be able to see clearly. As someone who wears glasses for distance, this seemed very far fetched but I decided to give it a try. I took off my glasses, made a tiny hole to look through and then looked at some blurry text in front of me. Sure enough it actually worked! Now it is not perfect and it is certainly not as clear as with glasses, but it made the text clear enough to read compared to without this method when it was completely blurry. Apparently this method works by limiting the amount of light that get through so there is not as much that is focused on different parts of the eye. Because of this, the light that does get through the small hole is more focused and more clear. I was so impressed by this trick I decided to make my own little pair of pin hole glasses. Well they are not really glasses, but more a credit card size piece of cardboard with 2 small holes poked it in. I spaced them out about the right width so I could look through with both eyes at the same time. This is a bit difficult especially when trying to see things at different distances so sometimes it is easier to just look through one hole and close the other eye. I put this card in my wallet to carry with me at all times in case of an emergency. If I were to loose my glasses for whatever reason and needed to see something clearly in the distance, I could take out the card to use as a quick replacement for the glasses. If you wear glasses, I would highly recommend trying this technique so you can use it if you ever need to see something without glasses.